On the main drag, tucked in between the little shops and realty offices in the tiny coastal town of Cambria, is a small restaurant, Madeline’s. 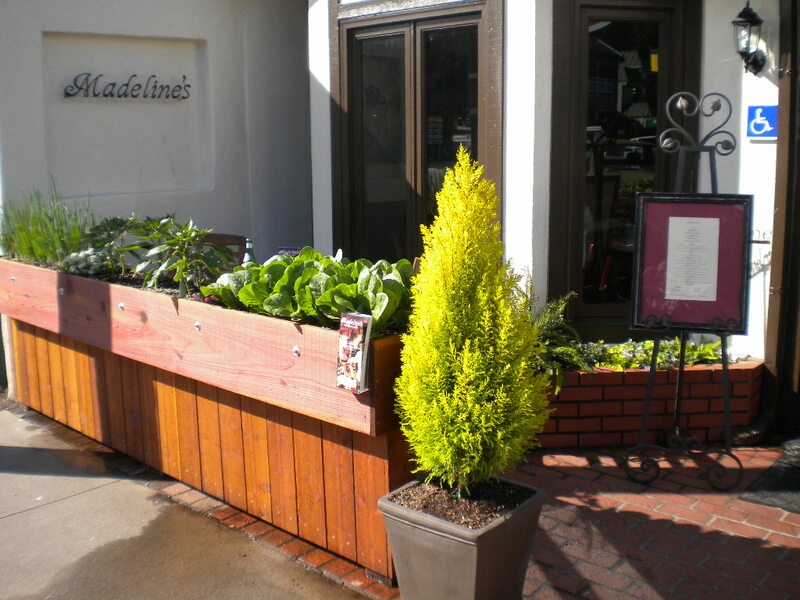 Chef David at Madeline’s is praised by all of the locals as having the best food in Cambria, bar none. Many insisted we go to Madeline’s for the filet mignon, chicken with Brie, and after dinner be certain to have the “Chocolate Thing”. In the early afternoon we walked into Madeline’s, and Chef David made reservations for us himself. When I asked, he said he was indeed making the “Chocolate Thing”. Bartender Kelly served up a few wine tasters for us, and an exquisite cognac, just to whet our palates. That evening, dinner was exquisite, and everything, including the “Chocolate Thing” was everything we were promised. The Chicken with Brie was a tender chicken breast wrapped around a small portion of brie and fresh herbs, coated with a breadcrumb mixture and lightly pan fried in butter to a golden perfection. Served with exquisite scalloped potatoes, sliced nearly paper-thin and layered with heavy cream and gruyere cheese, and baked. The potatoes were so phenomenal, I nearly asked for seconds! The freshly steamed broccoli was tender crisp and lightly seasoned, complimenting the seemingly simple yet incredibly delicious meal. 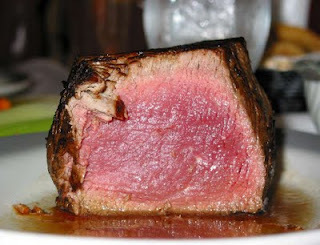 The filet mignon was a generous portion of buttery steak, flavorful, that cut into tender, moist slices of angus delight. Seasoned lightly on the outside, pan seared and doused with a pan jus, each bite seemed to bring about thoughts of cattle roaming the coastal countryside grazing on grasses that blew in the Pacific breeze. With a great selection of hard-to-find wines, Madeline’s offers not only the perfect wine for your meal, but appropriate advice when asked which wine would suit the palette. Pairing wines is often spoken of, but when a restaurant specializes in bringing the best of local wines and creating dishes that compliment those wines, then the service is complete. William, our server, asked a few questions before recommending a wine, and made excellent suggestions. Pleased with every glass for every course, we were able to enjoy the best of both offerings. In any great restaurant, dessert must be decadent and climactic, in order to not be overshadowed by the main course. The “Chocolate Thing” was spectacular! Layers of chocolate crust, and the best dark chocolate, semi-dark chocolate, chocolate sauce all served in a fluffy bed of freshly whipped cream, drizzled with just a bit more chocolate sauce, the entire dessert was almost too beautiful to eat. So rich and smooth, each bite was pure ecstasy. This is a chocolate dessert I will dream of for years, as only a true chocoholic would. Truly, the “Chocolate Thing” should be renamed the “Chocolate Dream”. Madeline’s is far more than a place to eat. Our server William was so courteous, kind, and willing to please, we felt we had made a friend before dinner was completed. Chef David took the time to leave the kitchen and speak with each guest, welcoming them to his restaurant and thanking them for their patronage. He is a warm, friendly, and outgoing man who loves what he does; preparing exquisite food for his customers. 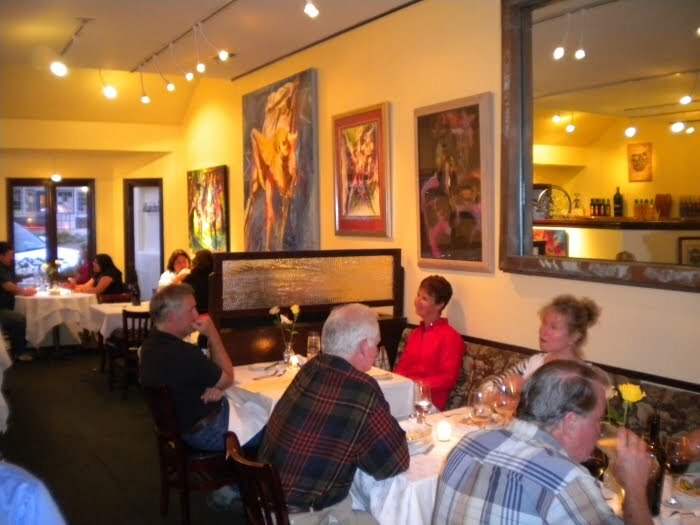 In a romantic and serene atmosphere, a couple can enjoy an extraordinary meal, great service, great wine, and the company of one another.